Imagine the frustration of being a survivor of cancer and then to begin having unexplained symptoms. Then imagine if your physicians do not recognize the problem or do not even realize that your problems exist. Such is the case for many survivors of past treatment of malignancy. As an advanced Heart Failure Cardiologist, I see these patients late, after they have already experienced a variety of cardiovascular problems. The truth of the matter is that surviving cancer places many of these patients in a very high risk category for the development of both dilated and restrictive cardiomyopathies as well as early (premature) onset of coronary artery disease. Their age and relatively “healthy” appearance deceives their physicians and these deadly conditions can go undiagnosed for months to years. I see patients on an increasingly regular basis that have problems related to the prior treatment of their cancer. 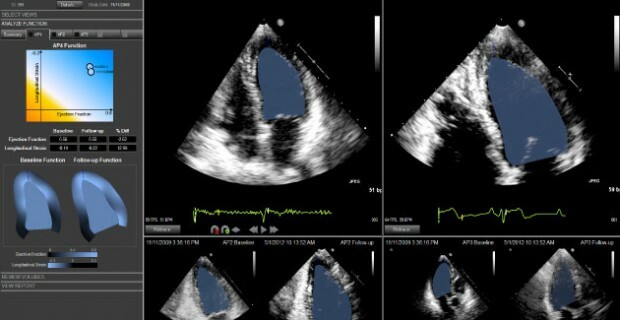 The use of anthracycline chemotherapy agents and the newer agents like trastuzumab result in both symptomatic and asymptomatic left ventricular dysfunction at levels higher than initially reported in the literature. Mediastinal radiation results in a whole host of problems that include mixed restrictive and constrictive cardiomyopathy as well as very aggressive and early onset of coronary artery disease. In the past year I have seen no less than 3 patients die as a result of radiation damage (2 from constrictive/restrictive cardiomyopathy and 1 from unrecognized coronary artery disease resulting in massive myocardial infarction). Cardio-oncology is a new specialty that recognizes the cardiovascular risks of the treatment of malignancy and hopes to more effectively diagnose, treat, and prevent these problems. The specialty is new within the past few years and few training programs exist at present. At Spectrum Health we have been working to develop a program in partnership with Oncology. The goal is to more effectively screen these patients and institute therapy earlier when it can be more effective. But that is only part of the battle. Many (most) physicians are unfortunately unaware that the problem exists. This organization, “My Heart Your Hands” is essential for increasing awareness of the problem at the level of health care providers but also patients and their families. The founders of this organization, Judy Bode and Stephanie Zimmerman, have both experienced the consequences of cardiovascular complications of the treatment of malignancy and are passionate about improving things for others. They have been working with me and others to increase education and awareness. Their organization holds real promise to increase recognition for patients who are lost in symptoms that their physicians are not recognizing as life threatening cardiac problems. Please do what you can to support their efforts! Wow…. Excellent post. This definitely needs exposure to many. Collateral damage can run rampant before detection. Thank you! Thank you! This is encouraging as I have been unable to find a physician who has knowledge of, and experience treating, Radiation Induced Brachial Plexopathy (RIBP) and its myriad of complex symptoms and issues.